Thanks to the PRC of Rolla, Faith and her son Noah are thriving. This week, they head to Capitol Hill to share their story with lawmakers. When Faith first came to her local pregnancy help center, she was not a mother in crisis. Unexpectedly pregnant at 21, she was beside herself with joy. “In fact, I was excited to be a mother for the first time,” she would later tell a roomful of supporters at a fundraiser for the Pregnancy Resource Center of Rolla in Missouri. But as others’ criticisms came crashing in, she soon found herself mired in negativity. But Faith wasn’t alone. Not by a long shot. Like thousands of pregnancy help centers across the country, the PRC of Rolla provides a myriad of services to families in need, all free of charge. As a pregnancy help medical clinic, they offer pregnancy tests, obstetrical ultrasounds, pregnancy options counseling, and more. Two months later, when Faith became homeless, the PRC of Rolla came through yet again. This time, they connected her to their partner organization, St. Raymond’s Society, a transitional home for pregnant and newly parenting women. Within three days, Faith moved in. Jane Dalton, the center’s client services director and program director for St. Raymond’s Society, encouraged Faith through it all. 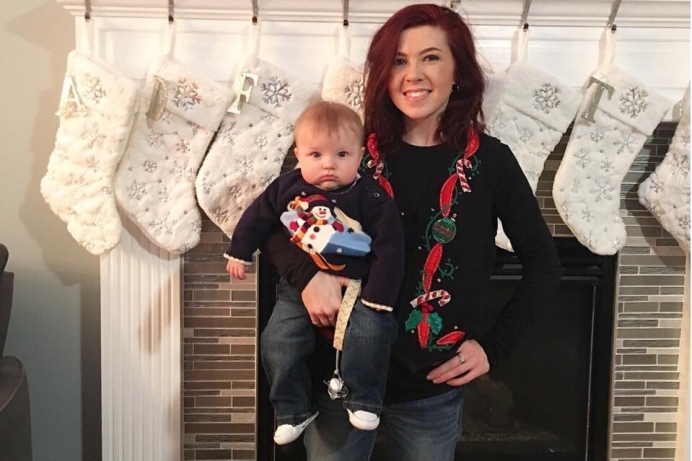 “In less than a year, I went from a homeless, pregnant, part-time waitress to a breastfeeding mom, a college graduate employed in my field of study with a 401k, a business owner, and most importantly, I became a baptized Christian,” Faith said. This week, Faith and her son Noah head to Capitol Hill as part of Heartbeat International’s Babies Go to Congress. Once there, they’ll share with lawmakers what pregnancy help has meant to them over the last couple of years. In 2017, pregnancy help centers all across the country served nearly two million clients just like Faith. That’s an estimated community cost savings of $100 million, according to an extensive report from the Charlotte Lozier Institute. As amazing as these findings are, Babies Go to Congress brings senators and representatives face-to-face with the real lives impacted and saved by this work. On Thursday, with Noah in her arms, Faith will carry the ultimate testament to the work of pregnancy help centers all across the country and around the world. Editor’s note. This appeared at Pregnancy Help News and is posted with permission.